The dreams we dream at night is information that often stays private with us and is information which we protect from the judgement of others. We see our dreams as uncontrollable instances in our day, a view which births a sort of fear that surrounds the topic. We fear of telling stories about our nightly dreams because they may reveal private information about us. You may have dreams of your crush reciprocating your level of love towards them, or you may have dreams about close family members getting into a violent car crash. Dreams have always been viewed as having an otherworldly aura to them and are a popular topic in the mystic community. Though the otherworldly theories about dreams have yet to be proven, dreams do play a critical role in truly getting to know someone if used correctly. You may think this article will be about analyzing the content of the dreams that people have and using that information to draw some sort of a portrait of their personality. However, the real reason for talking about dreams with other people, in the process of getting to know them, is to take advantage of their private nature. Dreams are seen as sensitive topics but not sensitive enough for people to not be willing to talk about. Dreams are therefore the perfect topic of conversation to lower people’s guards for releasing personal information. While being one of the more personal subjects we can choose to talk about with others, the information about our dreams is not dangerous to disclose. People cannot hurt us if we tell them about the wacky things that we dream about at night. What talking about dreams does though, is it raises our trust in the person who is listening the the stories of our dreams. Since the topic is a little sensitive, our self-consciousness when talking about dreams manifests itself as trust. The people who tell you about what they dream about at night will be more likely to trust you with other personal information about them. This personal information isn’t just what they do for a living or how much money they make doing it. The category of personal information also encompasses the tendencies which you exhibit when your guard is down, your bad habits, and your true stances on controversial subjects. Talking about dreams with other people opens them up to show you their real self. People will be placed in a vulnerable position while talking about their dreams, and therefore the inner workings of their mind will be harder to keep under wraps. 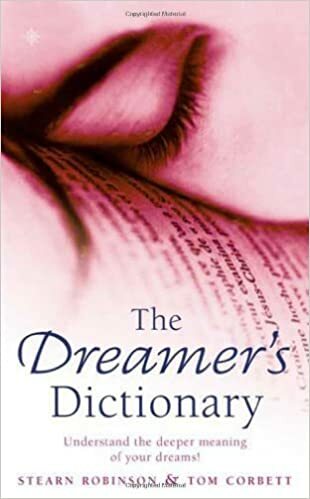 You will notice that they will begin being more open not only on the subject of dreaming, but real-world subjects too, as the conversation goes on. Talking about dreams is the perfect way to loosen the guard of people who you are trying to get information out of. Living with the information that another person knows what we dreamed about during our most private moments can be either terrifying or comforting. Both of those feelings lead to a more honest flow of information from the people you’re conversing with.